Today I have something new for you: Feature a Friend. This is an initiative of Nina Bandoni from Sharing a Journey. I will introduce you to another fashion blogger. In a fashionable way of course. I will introduce you to Suzanne Bell, if you do not already know her! 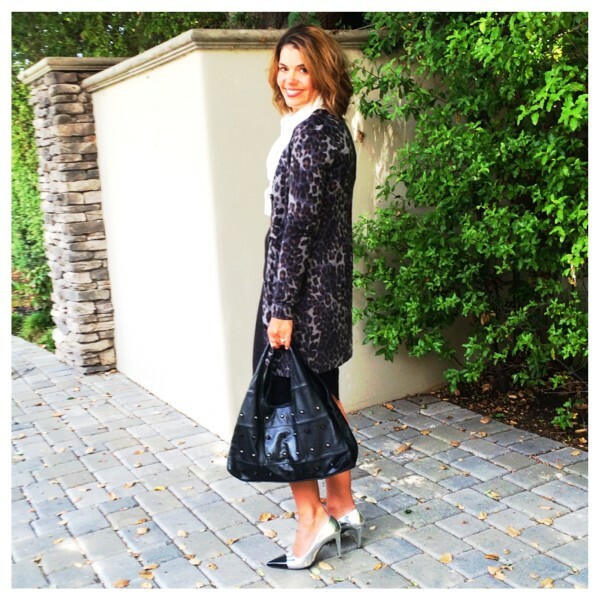 This is a fun way to meet other blogger friends and to share our fashion interest. Suzanne and I have a shared love for long cardigans and show you our favorites today. But first let me tell you a bit more about Suzanne! Suzanne is a 40 plus mom of 2 teens, realtor, lifestyle blogger, avid thrifter, pinterest junkie, lover of a great beach read, style lover. She has worked 16 years as an executive at Nordstrom Inc., and retired in 2003 to pursue a career in real estate. AskSuzanneBell was launched in 2014 as a passion project and creative outlet. Suzanne strongly believes that personal style goes way beyond what you wear; it is an expression of our most inner self – who we are at the core. It’s a feeling that comes with knowing who we are and being confident in how we choose to present ourselves to the world. 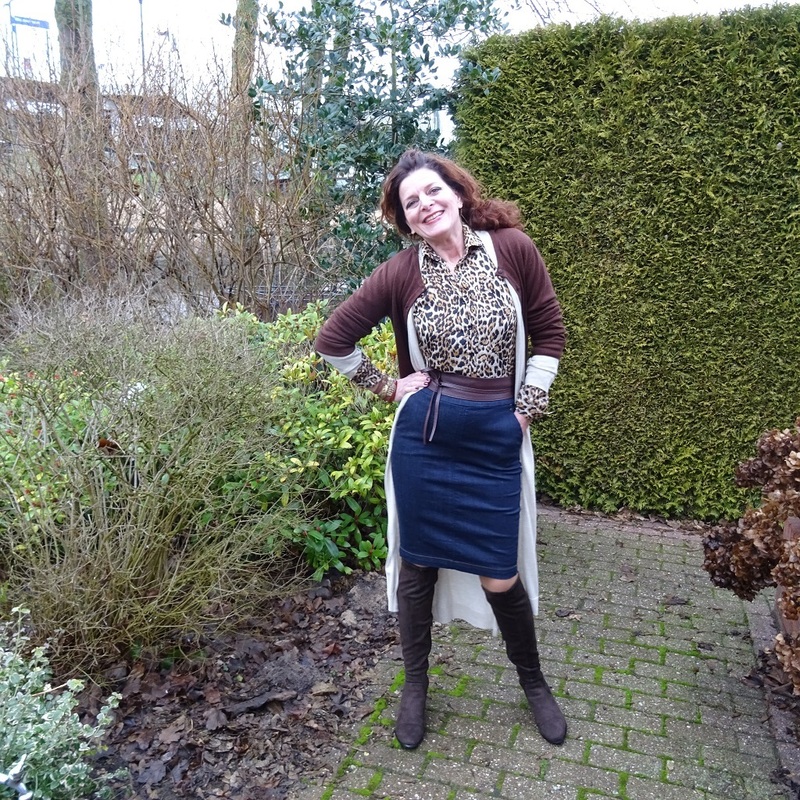 Here is Suzanne in her leopard print cardigan, very elegant. 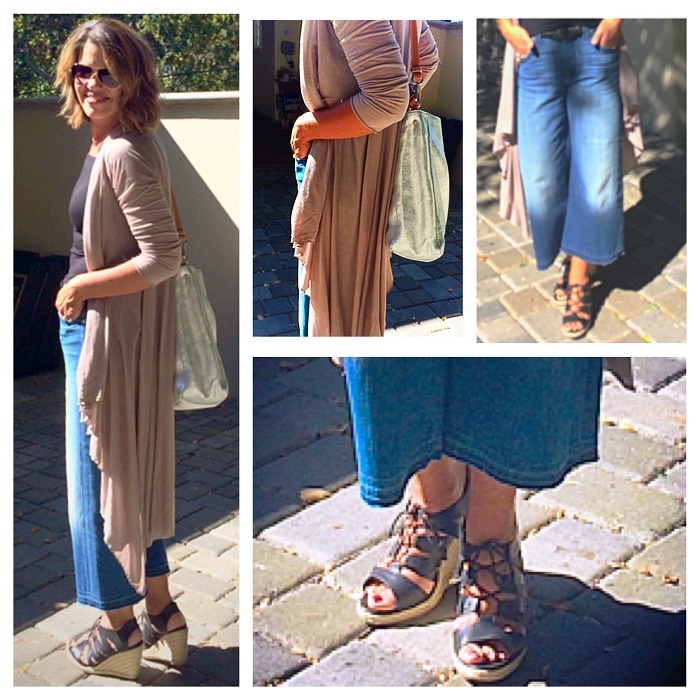 This a great Spring outfit, a denim culotte, espadrilles and a beige long cardigan. And again a very elegant look with a fabulous bell sleeved cardigan. And what about those chique trousers! This is the warmest cardigan ever and such a gorgeous Autumn color. I don’t wear red that often, but this one is a great one for Spring. 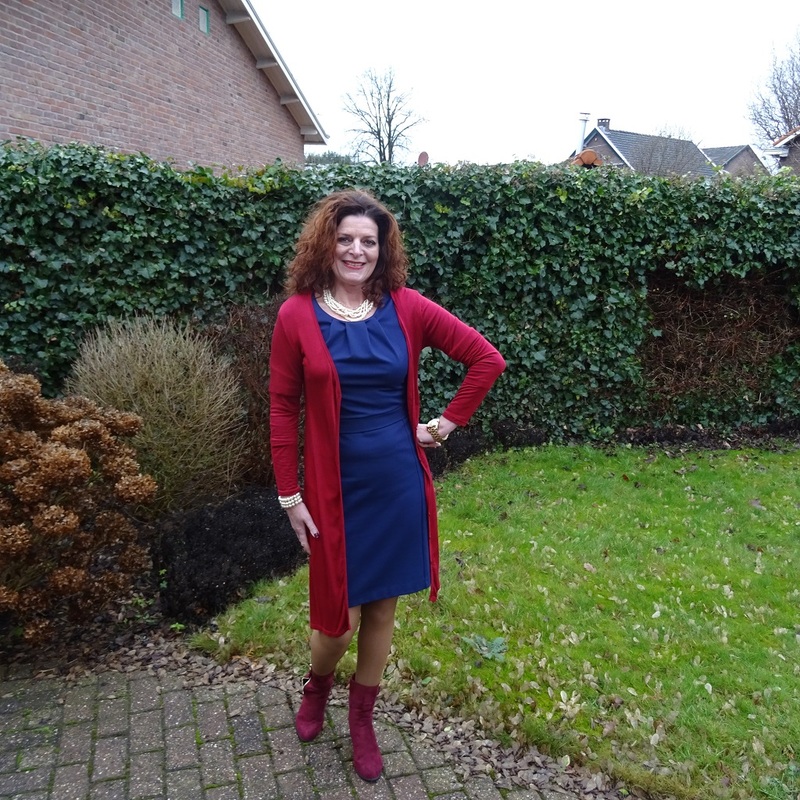 I also show this long cardigan on Suzanne’s blog, but I wear it here with a short cardigan over it to break the color. 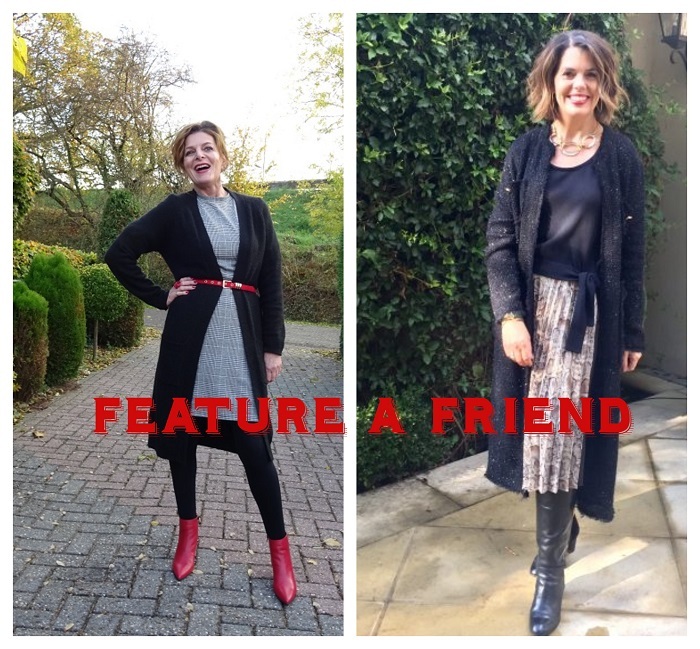 And now pop over to Suzanne’s blog to see more of our favorite long cardigans at Feature a Friend, but not before you linked up your beautiful outfit! Good Morning my friend! across the world! We did it…live at the same time. Funny to think that I am getting ready to tuck in for the evening and you are just getting going! Such an honor to be partnered with you on this post, we really do love so many of the same things. The short cardigan over the long one, brilliant! I never would have thought of that little trick. AND you know I just love the mustard yellow cable cardigan. I almost bought a similar one at TopShop, but here in California we get very little cold weather so I need to be careful, only so many cold days in the year! No it’s my honor Suzanne! Funny isn’t it! And also funny how close you can feel with so much distance! Fabulous, and we do like a lot of things the same. Well, you are still sleeping now but I wish you a great weekend! My pleasure Laurie! Have a great weekend! Yes there is still snow, but this weekend it will be raining. Are you? I just read your post. It looks fabulous, have fun. Are you taking a picnick again, I thought that was a fab idea! Haha, yes indoors it will be! Hope that your week is going well 🙂 Still so hot and humid here with the heatwave! I’ve become a big fan of long cardigans. I love your red one Nancy, you should wear red more often! Funny, a lot of women say that I need to wear more red. It’s one of my least favorite colors! Thanks Gail! This is a great idea. I’m going to check her blog too. Have a nice weekend, Nancy. Thanks Anna Shirley, have a great weekend! What a fun idea! You are both gorgeous ladies, so elegant and stylish! That blue dress is so pretty on you Nancy! Thank you Kellyann, it’s a old one but still very nice to wear! Thank you so so much for the link up. Thank you for joining love! Such a lovely idea to feature a friend! I just realised I havent linked up for awhile so here I am my first one of 2019 for you! (better late than nevereh)? Haha, it’s very nice to see you here again! You are, let’s say, fashionably late! Lol! It’s been far too long since I linked up here! I love how she has my name! Today I’m also wearing a dress with a big sweater, just like you! Hi Nina, how are you doing? I will be checking your post! What a great idea! You both look lovely, and you can’t go wrong with a long cardigan! You love to wear them too right! They always are a good item to wear on anything! Thanks Debbie! Thanks for sharing your friend Suzanne! Her style is so glam and chic. Thanks for the link up! Thank you very much Kathrine! I love love love this initiative. Such a great way of lifting other people up. And I’m crushing on long cardigans too. Had my eyes on a leopard one from Amazon. Sounds amazing! Thanks Louisa, enjoy your weekend! Oh there is always a sale somewhere Maria! I love your cardigans and Susan looks like a great friend to feature. You both make me want to break out my long cardigan and start the Friday off right! Haha, thank you very much Chrissy, enjoy your weekend! I am a huge fan of long cardigans and of “Ask Suzanne Bell”! Thank you very much Rosemary! I just love long cardigans, and you gals styled all of yours beautifully! I do love Suzanne’s style along with these long cardigans. They almost act like a jacket at times and they seem so elegant! She has a very elegant style right! How fun to introduce Suzanne. You are both lovely ladies and are really stylish in the long cardigans. I think I’m going to steal your denim skirt version, Nancy! Would be honored Kim! Thanks love! What a great new feature! I have long admired Suzanne’s style and it was nice to learn more about her. I just love your long mustard cardigan and dark floral dress look! Have a wonderful weekend, Nancy! Thank you very much Jennie, enjoy your weekend! How fun introducing Suzanne! I love long cardigans and in fact offer a few of them in my shop and I just got a new one I will be featuring soon. Looking forward to that Nora! Very nce feature Nancy! 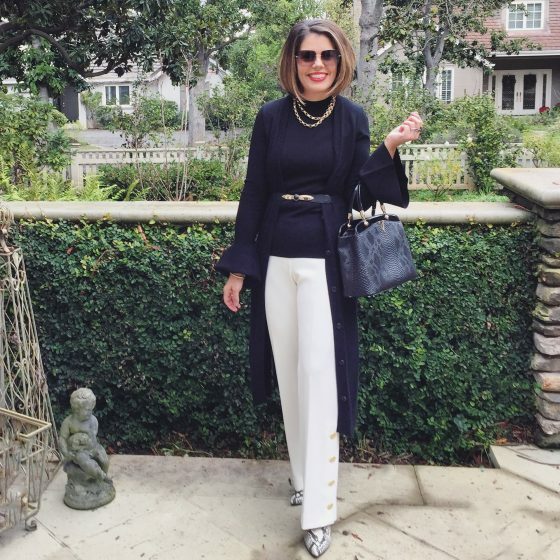 I love Suzanne’s style too and she is a fellow consignment/thrifter, I love the navy/cream outfit, and I also bought some long cards for this season. Great inspo! Your friend is so stylish! I love her cute bob haircut. You both have some really great long cardigans! What a fun post! It’s always nice to be introduced to other fellow bloggers. 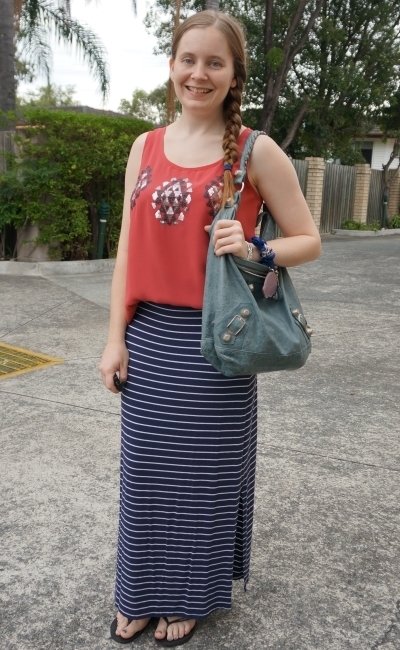 I have seen Suzanne Bell in the blogosphere before and love her style. And what a great way to talk about cardigans. They are such a wardrobe staple! Happy Friday Nancy. Thank you Maureen, have a great weekend! Thanks for introducing us to Suzanne—I’m excited to have a new blog to read! Yay for Mica, I love her! 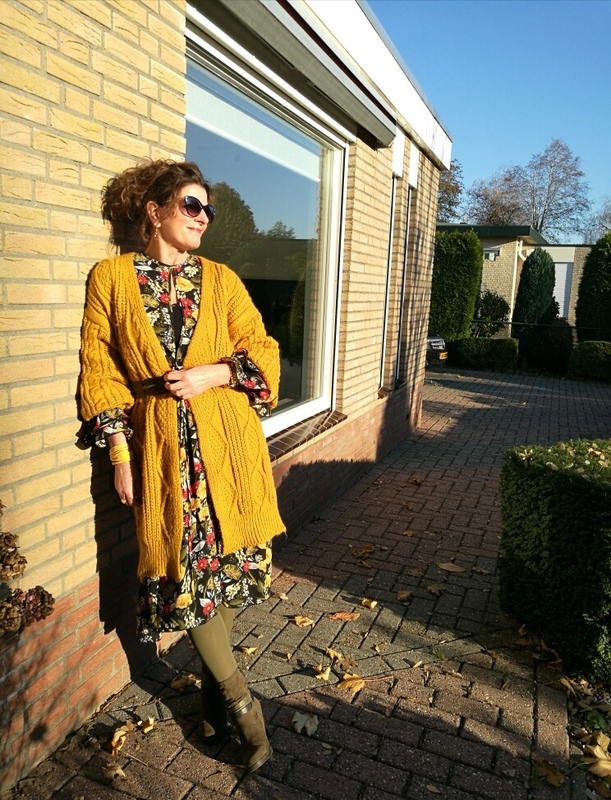 I am loving all these long cardigans – I’ve bought 4 over the past year, and love how they can transform an outfit. Yes they do transform right. Long cardigans and boots! Perfect combo. You are the queen of combinations. This is such a good idea and a great way to see bloggers you may not have noticed before. The long cardigans you both wear always look so chic. Pleased to say I am able to link up again,no problems at all. I am happy that you could, the old linkup version is better then the new one. So sweet of you to feature Suzanne, Happy to know her. Love your both styles. her style is as fabulous as yours. Thank you very much, that is very kind of you. What a Nice idea Nancy! You are so kind! Love Cardigans,… I can live in them! Nancy, what a wonderful series! And so many gorgeous long cardigans! I also love a long cardigan. So elegant and the perfect amount of drama. And I adore Suzanne! Such a fabulous post Nancy! Thank you for introducing us to Suzanne. You are two of a kind: elegant and fashionable! Both of you know how to express yourselves with style! Love the long cardigans, I have a couple myself. Thank you very much, I feel honored! Lovely post-Nancy. you both have great style 🙂 Thanks for sharing at Welcome To The Weekend Blog Hop. Have a lovely weekend. Thanks Claire! Have a good start of the week! Nancy I am really enjoying this new feature. Cozy cardigans look both chic and polished in all of these wonderful photos. My particular favorite is the one in mustard yellow. Suzanne style is also very on point. Have a wonderful weekend. Thank you very much Elle! Have a good start of the week! Thank you very much Tina! Looking amazing. What a nice post. Thanks for hosting and I hope that you have a wonderful week. Thank you very much Hilda! Thanks for introducing us to Suzanne, she is very beautiful and stylish! I’m a big cardigan fan, so perfect for the cold right now! I simply adore your cardigans and the different color combinations! Thank you for inspiring me with your gorgeous blog! Please enjoy my link party with something yellow! Thank you very much Claudia! That is so very kind of you! That’s such a fun project! And I love of course that you are introduce Suzanne, whom I know personally! She is just as great in real life as on her blog! Yes I know! Lovely and very elegant lady right! You see how small the world is!